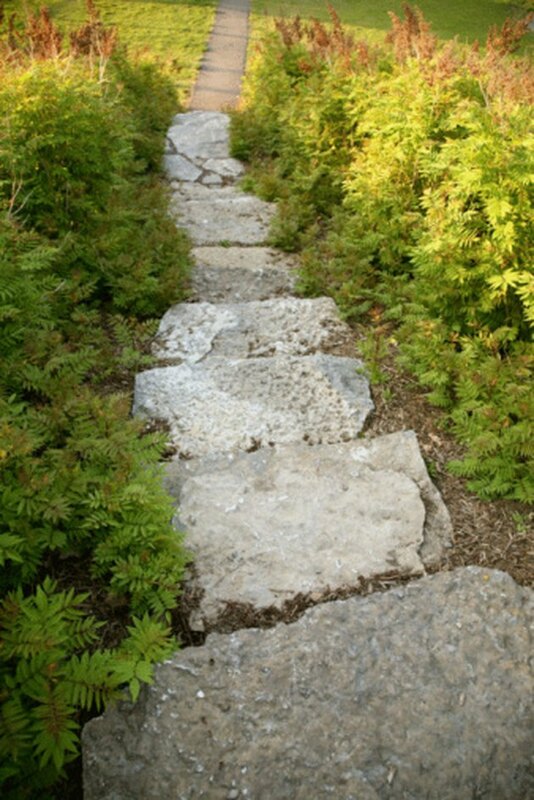 Flagstone pathways create a distinct route to a property and withstand years of wear and tear with minimal maintenance. Hundreds of plants are available to fill the gaps between flagstones while adding color and texture to offset the stone. Distinguish a pathway using plants. Roman chamomile is used in making tea. Herbs are easy to maintain and add an aromatic quality to the flagstone pathway. 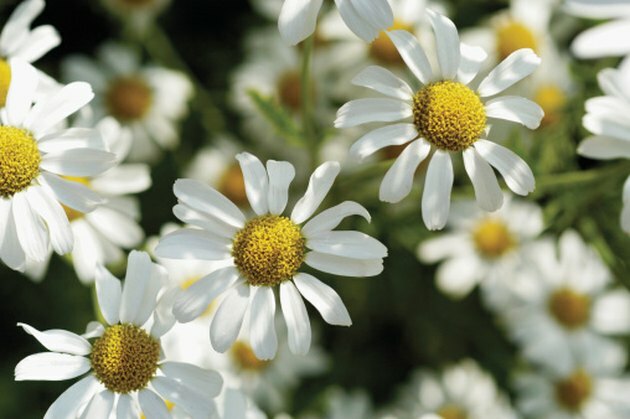 Roman chamomile and several varieties of thyme, including archer's gold and red creeping thyme, are adaptable to dry conditions and can be used in food preparation. 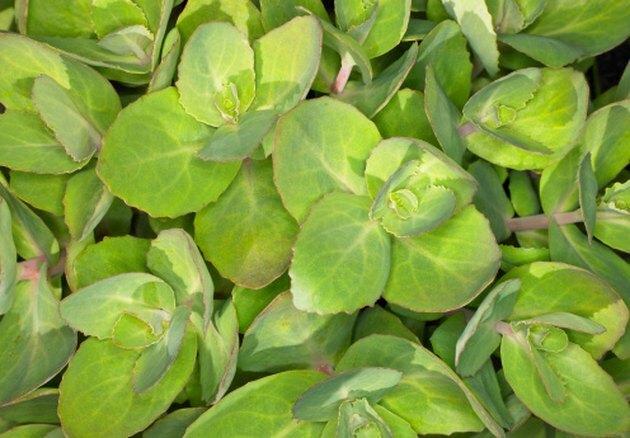 Sedum fills an area quickly. 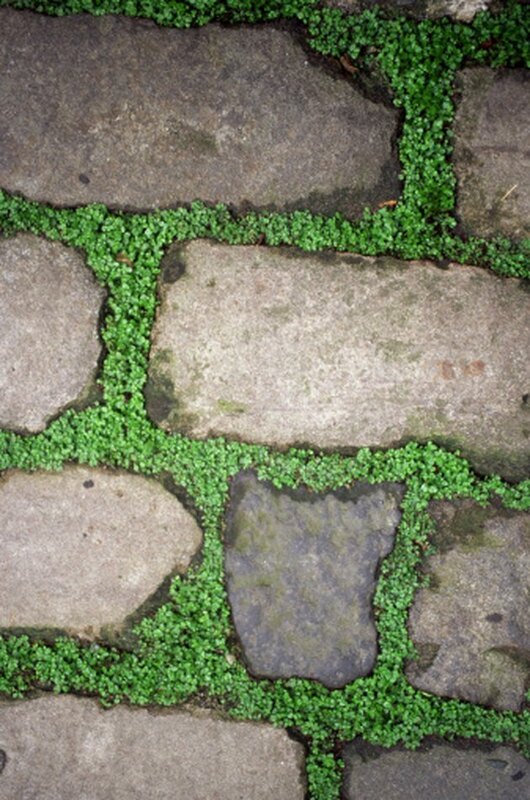 Many plants keep a tight, low-to-the-ground profile and are used between stone paths. The eleocharis radicans Miniature Rush is close in appearance to grass and hugs the ground. Several varieties of speedwell, stonecrops and sedums flourish between flagstones and can tolerate harsher climates. 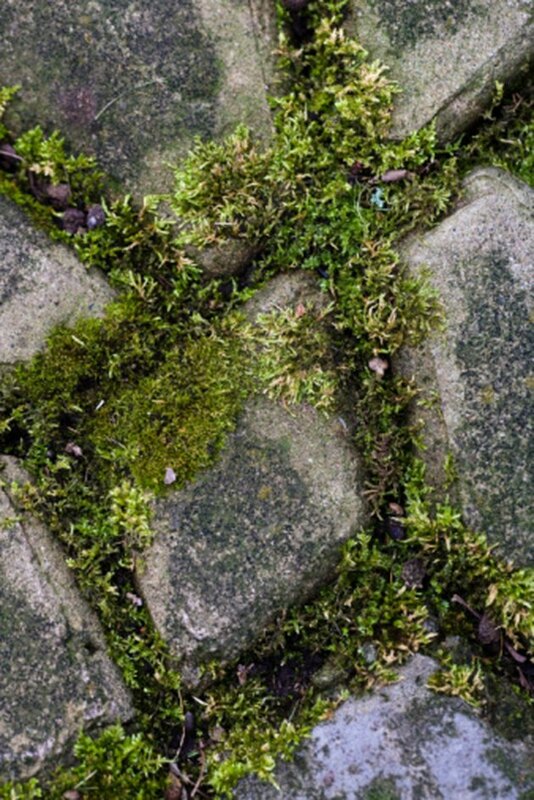 Moss stays tight to the ground. Mosses are always a favorite for pathways but the soil conditions, moisture needs and shade requirements must be met for moss to survive. Sagina Irish and sagina Scotch moss match shade needs. Taller edge plants define borders. Because of flagstone characteristics, combining plant types will enliven a path and define borders. Consider daily traffic along with sunlight and soil conditions.